FINALS UPDATE: Scorpion (1.2) adjusted up. It was another healthy return to the stage for NBC's The Voice (3.1), down by just three tenths from the year-ago spring premiere (and two tenths below the fall 2016 premiere). But the early prospects do not look positive for new drama Taken (1.6), which started even lower than the fall bow of Timeless (which had a 1.8 out of a similar 3.0 lead-in). It could be more successful than Timeless if it holds up well, but the 1.8 -> 1.4 half-hour breakdown does not seem promising on that front. On ABC, a one-hour edition of The Bachelor (2.4) led into a very low-rated start for weeklong miniseries When We Rise (0.7), which had a 0.9 in the 9:00 half-hour but fell to 0.6 in the 10:00 hour. CBS tried to stay afloat by subbing a repeat of The Big Bang Theory (1.3) into the lead-off role. It was a tenth below last week's Kevin Can Wait, and Man With a Plan (1.2) also declined by a tenth, but Superior Donuts (1.2) and 2 Broke Girls (1.2) stayed even. Scorpion (1.1) was down a tenth at 10/9c. Fox mercifully got some stabilization in the fourth week for 24: Legacy (1.0) and APB (0.8). And the CW had an even Supergirl (0.7) leading into downticking Jane the Virgin (0.3). FINALS UPDATE: Academy Awards (9.1) adjusted up. The Academy Awards on ABC appear headed for another year-to-year decline, and will likely post the ceremony's first single-digit adults 18-49 rating ever after finals. It averaged an 8.7ish in the prelims, but should adjust up considerably due to West Coast live viewing. (It went from a 9.7 prelim to a 10.5 final last year.) See recent Oscars ratings. Nobody else put up original programming resistance to Oscar, and Fox was the best of the rest with a six-pack of comedy repeats (0.6/0.6/0.9/0.9/0.9/0.8). Seems likely that Fox's Daytona 500 coverage in the afternoon helped here? CBS went with 60 Minutes (0.8/0.7) and NCIS: Los Angeles repeats (0.6/0.5) while NBC had two hours of Dateline (0.7/0.9) and movie Neighbors (0.5/0.4). FINALS UPDATE: Last Man Standing (1.2) and Shark Tank (1.4) adjusted up. ABC's Shark Tank (1.3) and Shark Tank-themed 20/20 (1.0) both upticked as the show passed the much-promoted $100 million in deals milestone. Earlier in the night, Last Man Standing (1.1) will hope for a second straight upward finals adjustment to match last week, while Dr. Ken (0.9) bounced back from last week's low. We've seen the best and the worst of MacGyver in the last two weeks, and this week (1.1) it was back to the middle of that range. Hawaii Five-0 (1.1) inched down and Blue Bloods (0.8) was a repeat. The other three networks were steady across the board: NBC with Grimm (0.8) / Emerald City (0.6) / Dateline (0.8), Fox with Rosewood (0.6) and Sleepy Hollow (0.5), and the CW with The Vampire Diaries (0.4) and Reign (0.2). FINALS UPDATE: How to Get Away with Murder (1.4) and Training Day (0.6) adjusted down. It was a disappointing night for The Blacklist franchise, with The Blacklist: Redemption launching to a mere 0.8 (below the mothership's series low) at 10/9c. 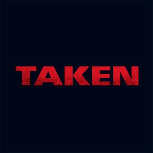 It led out of The Blacklist, which hung at its usual 0.9 in a special 9/8c edition; any benefit it may have seen from the earlier hour was seemingly cancelled out by the weak and incompatible Powerless (0.7) lead-in. The closest thing to a bright spot for NBC was Superstore, which hung on to a 1.1 at 8/7c. On ABC, How to Get Away with Murder (1.5) had a strong end to its season, growing by two tenths and actually beating last season's 1.4 finale. It led out of slightly down Grey's Anatomy (2.0). 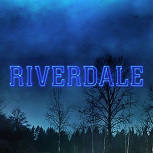 After pretty much hanging steady for the last three weeks, it was a brutal episode five for Riverdale (0.3), down a full tenth from last week even in the un-rounded. Supernatural (0.6) also ticked down for the CDub. When The Big Bang Theory (2.8) took a big dip last week, the lead-out comedies held on pretty well, but this time all three (1.5/1.4/1.2) shed a tenth. And on Fox, MasterChef Junior (1.2) bounced back a bit after last week's drop. FINALS UPDATE: The Goldbergs (1.8), Speechless (1.6) and Lethal Weapon (1.4) adjusted up. After an already DOA premiere last week, things got much worse in week two for CBS' Doubt (0.6), which fell to less than half the demo of its Criminal Minds (1.3) lead-in. (And a 0.6 -> 0.5 breakdown means it's actually south of an un-rounded 0.60.) Throw out the Saturday editions of Ransom, and it is tied with a few Elementary episodes as CBS' lowest-rated scripted episode of the season. It will be interesting to see if this situation prompts a quick action out of CBS. On ABC, 8:00 comedies The Goldbergs (1.7) and Speechless (1.5) inched down, Modern Family (2.0) was even, Black-ish (1.6) up a tenth and Match Game (0.9) steady. Fox had another immediate post-renewal downtick with Lethal Weapon (1.3), but not so with Star (1.2). NBC saw Law and Order: SVU (1.3) inch down between even Blindspot and Chicago PD (1.3), but even at 0.8 is not a good thing for Blindspot. And on the CW, Arrow (0.5) is eyeing a new series low in the prelims, but The 100 continued to cling for dear life to a 0.4. These numbers are current through Tuesday, February 21. TBS had big news on Tuesday from its sophomore comedy The Detour, which returned with a new series high 0.57 at 10:00 before dropping to 0.46 (still even with the second half of last year's premiere) at 10:30. The star-studded HBO miniseries Big Little Lies opened with a 0.31 same-day demo rating. That merely put it at the high end of recent modest HBO premieres like The Young Pope (0.30), Vinyl (0.25) and The Night Of (0.26, though again that number was not really indicative of what it did in future episodes). It led into a comedy hour of Girls (0.27), which has continued to trend well in its final season, and newbie Crashing (0.17). NBC's last Tuesday without The Voice saw The Wall go out with a 1.4 rating, leading into one-tenth upticks for This Is Us (2.5) and Chicago Fire (1.6). On CBS, NCIS (1.6) and NCIS: New Orleans (1.1) were both down after last week's crossover, with the mothership (preliminarily) hitting a new low. They surrounded Bull, which posted its fourth straight 1.3. ABC's American Housewife (1.4) ticked down, but the 9/8c comedies Fresh Off the Boat (1.1) and The Real O'Neals (0.9) each inched up from last week's Valentine's Day lows. Agents of SHIELD headed into hiatus with its fifth 0.6 in the last six episodes. Fox saw an uptick for New Girl (1.0), but The Mick (0.9) will need some finals help to avoid a new low, and Bones (0.7) was down as well. And the CW's The Flash (1.0) and Legends of Tomorrow (0.6) were back from a week off and both shed a tenth in the prelims. FINALS UPDATE: Quantico (0.6) adjusted down. It was another week of rough drops for Fox's new dramas, as 24: Legacy (1.0) and APB (0.8) each shed another two tenths. Considering 24 was right on the verge of adjusting up to 1.3 last week, that means it must have dropped at least as much in the un-rounded as it did last week. 24 is now tied with Gotham's season low in the hour, and APB is significantly weaker than anything the previous occupants were doing on the night. On NBC, the finale of Timeless (0.9) tried to make one last case by upticking to its usual January level. But the 0.6 and 0.7 from earlier this month are not forgotten, and it got an assist from an American Ninja Warrior (1.4) special that did better than any episode of Celebrity Apprentice in the timeslot. It was a down night for CBS comedies Kevin Can Wait (1.4), Man with a Plan (1.3) and especially Superior Donuts (1.2), which shed two tenths. Those declines made steady 2 Broke Girls (1.2) and Scorpion (1.2) look a bit better by comparison. After weeks hovering around 2.4, The Bachelor (2.5) finally upticked to a new season high. Its lead-out Quantico (0.7) is in for another finals sweat, with a 0.8 -> 0.5 breakdown yet again. And on the CW, Supergirl (0.7) gave back last week's uptick, but Jane the Virgin held at 0.4. Numbers and analysis coming shortly. NBC celebrated its 90th anniversary with a three-hour special, while CBS previewed its digital-only series The Good Fight at 8/7c. ABC's To Tell the Truth and Fox's Son of Zorn each wrapped up their seasons. FINALS UPDATE: Last Man Standing (1.2), Shark Tank (1.2) and Hawaii Five-0 (1.2) adjusted up. A week after some of their strongest results of the season, the CBS dramas swung all the way back in the other direction, starting with MacGyver (0.9) dropping into the zeroes for just the second time. Hawaii Five-0 (1.1) and Blue Bloods (1.1) were also below average. It was also a down night for ABC, as Last Man Standing (1.1), Dr. Ken (0.8) and Shark Tank (1.1) all fell to numbers they hadn't seen since the fall. (Though unlike the CBS shows, they saw these numbers pretty frequently during the fall.) At 10/9c, 20/20 (0.9) held off a Making a Murderer-themed Dateline (0.8) for second place. The other networks trailed as usual but were steadier. NBC's Grimm (0.8) bounced back from last week's low and pulled back ahead of Rosewood (0.6) on Fox. At 9/8c, Emerald City (0.6) and Sleepy Hollow (0.5) were both even again. And the CW matched last week with The Vampire Diaries (0.4) and Reign (0.2). FINALS UPDATE: Grey's Anatomy (2.1) and The Big Bang Theory (2.8) adjusted up while Scandal (1.6) adjusted down. Barring an extreme finals miracle, Thursday brought the first trip beneath 3.0 since 2008 for The Big Bang Theory (2.7). However, its lead-out comedies The Great Indoors (1.6), Mom (1.5) and Life in Pieces (1.3) all hung in there. The struggles continued at 10/9c for Training Day (0.7), which fell again to tie the lowest result from Pure Genius in the timeslot. In TGIT world, Grey's Anatomy (2.0) was down for the third straight week since its winter return, but Scandal (1.7) edged up and the penultimate How to Get Away with Murder settled in at 1.3. 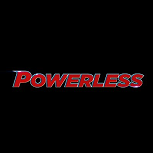 It didn't get any better for Powerless (0.8) in week three, as it remained well below its Superstore (1.1) lead-in and Chicago Med (1.2) lead-out. 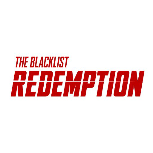 The Blacklist (0.9) stayed fractional as it prepares to launch the Redemption spin-off next week. After showing some life last week, Fox's pair of MasterChef Junior (1.1) and My Kitchen Rules (0.7) each took two-tenth hits this week. And on the CW, Riverdale swung back down to 0.4 following last week's uptick. Its lead-in Supernatural was up, hitting its first 0.7 since making the move to 8:00. FINALS UPDATE: Speechless (1.6) adjusted up while Blindspot (0.8) and Law and Order: SVU (1.4) adjusted down. The new CBS drama Doubt (0.8) got off to a bad start, going behind even the premieres of Pure Genius (1.0) and Training Day (0.9) from earlier in the season. It was also behind almost all the episodes of previous occupant Code Black (the only exception was its one random 0.7 from November). Might we see Criminal Minds: Beyond Borders here shortly? Earlier on CBS, Hunted stayed at 1.2 while Criminal Minds (1.3) inched up from last week's low. On ABC, it was a rough drop for Modern Family (2.0), and Speechless (1.5) also inched down. They were sandwiched by even The Goldbergs (1.8) and Black-ish (1.5), while Match Game (0.9) fell to its first fractional result of the season. Fox's Lethal Weapon (1.4) recovered to its usual level after last week's low, and pulled back ahead of Star (1.2) as it inched down to tie its low. On NBC, Law and Order: SVU (1.5) stayed strong as it shed only a tenth from last week's 400th bump. Chicago PD (1.3) was even and Blindspot (0.9) will hope for a second straight finals uptick to get even. And the CW's Arrow (0.6) and The 100 (0.4) were steady again in the prelims. FINALS UPDATE: American Housewife (1.5) adjusted up while Agents of SHIELD (0.6) and Tough Mudder: The Challenge Within (0.2) adjusted down. Valentine's Day and presumed lower viewing levels brought several small drops to broadcast, but nothing too alarming. ABC's Fresh Off the Boat (1.0) probably had the worst drop, down by two tenths to a new season low, while surrounding comedies The Middle (1.5), American Housewife (1.4) and The Real O'Neals (0.8) were all down one, and Agents of SHIELD held at 0.7 at 10/9c. CBS tried to charge up Tuesday with a crossover between NCIS (1.8) and NCIS: New Orleans (1.2). NO was indeed up two tenths from last week, but that still only got it back to its usual number from the fall. They sandwiched Bull, which stayed frozen at 1.3. NBC had small drops from The Wall (1.4) and This Is Us (2.4), but Chicago Fire (1.5) was steady at 10/9c. On Fox, New Girl (0.9) was down a tenth, The Mick (1.0) even, and Bones (0.8) up a tenth. And the CW used Valentine's Day to sample one of its digital properties, the unscripted show Tough Mudder (0.3), on a bigger stage. It led into a repeat of The Flash (0.2) at 9/8c. These numbers are current through Monday, February 13. AMC shot back to the top of the charts with Sunday's return of The Walking Dead (5.72), which beat out all but the first couple episodes of the fall run. It was 15% behind the year-ago spring premiere, which is an improvement on the show's trends at the end of the fall (-25%ish in the last three weeks). FINALS UPDATE: The Bachelor (2.4) adjusted up while Quantico (0.6) adjusted down. It was a mixed at best week two for the new Fox drama lineup, as 24: Legacy (1.2) took a typical-ish week two drop at 8/7c while APB (1.0) tumbled much more. At this point, 24 has the same rating as a high-end Gotham, while APB is a below-average Lucifer, and it's only week two. On CBS, things were mostly steady, which was good news for the second Monday edition of Superior Donuts (1.4). ABC's Quantico (0.7) gets to sweat out finals once again, with another preliminary breakdown of 0.8/0.5. The Bachelor inched down but outrated the year ago evening (which was against the Grammys, to be fair). On NBC, Timeless (0.7) mercifully rose after last week's collapse, but was still a long way from the 0.9's it was posting in January. And a disappointing season of Celebrity Apprentice (0.9) ended in anti-climactic fashion, with a mere one-hour finale that couldn't even build from its The Wall repeat lead-in. And the CW was preliminarily on the upswing with Supergirl (0.8) and Jane the Virgin (0.4). FINALS UPDATE: Grammy Awards (7.8) adjusted up while America's Funniest Home Videos (1.1), 60 Minutes (1.2), Grammy Red Carpet Live (2.1) and Dateline (R) (0.7) adjusted down. After a stop on Monday last year, the Grammy Awards returned to Sunday with a preliminary 7.3ish rating. That is basically in line with last year's 7.4 prelim, which later adjusted up to 7.7. See the recent Grammy ratings history. It seems likely to beat out AMC's The Walking Dead return as the top program of the night. Fox was the only broadcast network that dared to try a regular lineup, and they were not rewarded for their efforts; The Simpsons (1.0), Son of Zorn (0.6), Family Guy (0.9) and Bob's Burgers (0.8) all completely crashed to new season lows by wide margins. The other two networks had dueling theatricals, with ABC's The Blind Side (0.9) beating out NBC's Fast & Furious 6 (0.6/0.7/0.7). It was a big night for the CBS dramas, with MacGyver (1.2) and Hawaii Five-0 (1.3) each up two tenths to tie their highest ratings since the new year. Blue Bloods (1.2) was up a tenth at 10/9c. The CW brought back Reign (0.2) for its final season, where it may well be poised to peel off a long run of 0.2's just like previous occupant Crazy Ex-Girlfriend. It led out of The Vampire Diaries, which preliminarily ticked up to 0.4. ABC's comedies sat out in favor of an hour of Peanuts Valentine's specials (1.0), leading into a steady Shark Tank (1.3) and narrowly down 20/20 (0.9). The other two networks stayed low, though Rosewood (0.7) picked up a tenth to tie a downticking Grimm (0.7) for third at 8/7c. Emerald City (0.6) and Sleepy Hollow (0.5) stayed even at 9/8c. FINALS UPDATE: Riverdale (0.5) adjusted up while The Great Indoors (1.5) and Mom (1.5) and Powerless (0.8) and Chicago Med (1.1) adjusted down. NBC's comedy Powerless (0.9) went fractional in week two, putting it below the series low of previous occupant The Good Place at this very early stage. It led out of a downticking Superstore (1.1), but the dramas Chicago Med (1.2) and The Blacklist (0.9) were even. Week three of TGIT brought some more small drops for Grey's Anatomy (2.1) and Scandal (1.6), but How to Get Away with Murder held at 1.3. Fox installed MasterChef Junior (1.3) as its new Thursday anchor. It matched last year's 1.3 premiere (on a Friday) and was above most of what Hell's Kitchen had been doing in this slot. It also put a little jolt back into My Kitchen Rules (0.9), which recovered from last week's 0.7. On CBS, usual 8:30 occupant The Great Indoors (1.6) was back, surrounded by steady-ish showings from The Big Bang Theory (3.0), Mom (1.6) and Life in Pieces (1.3). Week two of Training Day (0.8) lost a precious tenth at 10/9c. And the CW's week of steadiness continued with Supernatural (0.6) and Riverdale (0.4). Of course, the nature of rounding means Riverdale could actually be down 15% or it could be up from last week's 0.43 final, but it was notably up a touch in total viewers. FINALS UPDATE: The Goldbergs (1.8) and Modern Family (2.3) and Blindspot (1.0) adjusted up while Black-ish (1.5) adjusted down. ABC's comedy anchors were back to originals for the first time in four weeks. All the comedies were down from the last time they were all together, especially The Goldbergs (1.7) at 8:00, while Speechless (1.6), Modern Family (2.2), Black-ish (1.6) were down more modestly from that night. (Black-ish was up from three weeks ago with a repeat lead-in.) Match Game stayed at 1.0 in the 10/9c hour. NBC was also back to originals after a multi-week hiatus, with a surge for the heavily promoted 400th Law and Order: SVU (1.6). Surrounding it was another disappointing 0.9 from Blindspot, plus a softer Chicago PD (1.3) at 10/9c. On CBS, the struggles continued for Criminal Minds (1.2) as it posted a new series low, again matching its lead-in from Hunted (1.2). At 10/9c, Code Black (0.9) wrapped up season two with a return to normalcy after showing some spark last week. 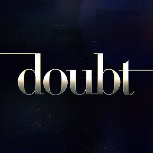 It will certainly have its eye on the performance of Doubt in this timeslot going forward. Fox's Star (1.3) stayed resilient but its lead-in Lethal Weapon (1.3) inched down to a new low. And in their second week back together, Arrow (0.6) and The 100 (0.4) made it six straight CW shows this week that have matched last week. FINALS UPDATE: The Middle (1.6) and The Wall (1.5) and This Is Us (2.6) and New Girl (1.0) and The Mick (1.0) adjusted up. All the original lineups were back in play on Tuesday, and most lineups were on the soft side compared to their January norms. NBC dominated again, despite drops from The Wall (1.4), This Is Us (2.5) and Chicago Fire (1.5). After two weeks off, ABC was back to original comedies, and The Middle (1.5) came down from its string of 1.7's in January. American Housewife (1.5) and Fresh Off the Boat (1.2) both matched three weeks ago, while The Real O'Neals (0.9) and Agents of SHIELD (0.7) ticked up at least in the prelims. On CBS, NCIS was also a little softer, while Bull (1.3) and NCIS: New Orleans (1.0) could not recover from their rough outings two weeks ago. Fox went total fractional with New Girl (0.9) leading into new season lows from The Mick (0.9) and Bones (0.7). And the CW stayed steady with The Flash (1.1) and Legends of Tomorrow (0.7). These numbers are current through Monday, February 6. After its breakthrough season two premiere, The Magicians (0.37) took a 29% drop in week two. A drop of that size is never a good thing, but 0.37 still puts it at the high end of its season one ratings. FINALS UPDATE: The Bachelor (2.4) and Superior Donuts (1.4) adjusted up. 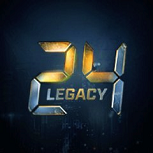 Just 20 hours after it finished airing its Super Bowl episode on the East Coast, 24: Legacy made its timeslot premiere with an underwhelming 6.2 million viewers and 1.5 demo rating. It's still well within acceptable territory by Fox standards, but it's really only one typical drop away from being at the same level as the evicted Gotham and Lucifer. 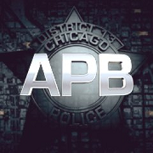 If there was a silver lining for Fox, it was that newbie APB did exactly the same 1.5 at 9/8c. For a show with seemingly much less brand awareness than its lead-in, it's a surprisingly decent start. On CBS, it was the timeslot premiere for Superior Donuts (1.3), which fit in OK among a generally down night for comedies Kevin Can Wait (1.5), Man with a Plan (1.4) and 2 Broke Girls (1.3). At 10/9c, Scorpion (1.2) inched down as well. Things got even more miserable on NBC, where Celebrity Apprentice (0.9/0.8) continued going in the wrong direction despite making some news this week, and Timeless (0.6) suddenly and completely melted down after several weeks at 0.9. On ABC, The Bachelor held at a dominant 2.3, but with a 0.8 -> 0.5 breakdown, Quantico (0.7) will have to sweat out a potential adjustment into even more embarrassing territory. And the CW was even with Supergirl (0.7) and Jane the Virgin (0.3). FINALS UPDATE: Super Bowl (37.1) and Super Bowl Postgame (21.8) adjusted up. The Bowl itself was only down 2% year-to-year in A18-49 but the postgame's 21.8 was down double digits. TIME-ZONE ADJUSTED UPDATE: 24: Legacy managed just 17.6 million viewers and a 6.1 demo at 11:00 ET, easily the lowest demo rating for a direct Bowl lead-out this millenium (and just barely holding off Alias' 17.4 million total viewership low). The time zone-adjusted viewership for the big game was 111.3 million, which would be just barely below last year's 111.9. Super Bowl 51 appeared headed for blowout territory early in the second half, but a huge comeback led to the first overtime in Super Bowl history. The household overnight was 48.8, ever-so-slightly behind last year's 49.0. And the preliminary adults 18-49 rating was 33.8ish from 7:00 to 10:30, down about 2.5% from last year's preliminary 34.7. Last year's 34.7 prelim adjusted up to a 37.7 final. See recent Super Bowl ratings. The late finish pushed the premiere of 24: Legacy to an 11:00 ET start time, one of the latest lead-out start times in recent history. It averaged a 7.1 A18-49 in the top 25 markets, but since it started at 11:00 ET there's nothing we can see about it from the preliminary nationals. See recent Super Bowl lead-out ratings. Stay tuned for updates based on time-adjusted numbers. FINALS UPDATE: Dateline (0.8) adjusted up while Blue Bloods (1.1) and The Vampire Diaries (0.3) adjusted down. On ABC, another 1.2 from Last Man Standing led into slightly down Dr. Ken (0.9) and Shark Tank (1.3) and an upswinging 20/20 (1.0). NBC's Grimm (0.8) and Emerald City (0.6) were both steady, but Dateline (0.7) dropped well behind 20/20. Fox's Sleepy Hollow was back down to 0.5 after last week's uptick, leading out of a third straight 0.6 from Rosewood. And The Vampire Diaries was up to 0.4, while Crazy Ex-Girlfriend wrapped up season two and made it 13 in a row at 0.2. FINALS UPDATE: Scandal (1.7) adjusted down. 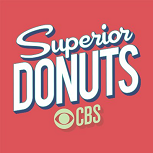 On a busy night of series premieres, we'll start with the best news: CBS got a pretty good sampling at 8:30 for Superior Donuts (1.9), tying the premiere rating from The Great Indoors with a weaker The Big Bang Theory (3.1) leading in. It's obviously gonna have a major change of scenery when it moves to Monday, but this gives it some hope of finding something decent. But the other two premieres left a lot to be desired. 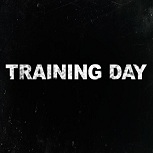 After Mom (1.6) and Life in Pieces (1.3), CBS opened new drama Training Day (0.9) at 10/9c, with basically an average Pure Genius rating (though a bit above its last couple outings). It'll have to hold pretty much all of this just to be Pure Genius, which is far from a compliment; to be anything more than that, it's got to be one of the 5%ish of newbies that pulls off a post-premiere growth miracle. And NBC's comedy Powerless (1.1) opened at typical The Good Place levels, sandwiched between Superstore (1.2) and Chicago Med (1.2). It's probably not as dire a situation as Training Day, since The Good Place levels were actually renewable, but it still needs a great (and unlikely) post-premiere hold to stay off the bottom of the totem pole. Later in the night, The Blacklist (0.9) fell into the zeroes for the first time. On ABC, week two of the TGIT reunion held up rather well, with Grey's Anatomy (2.3), Scandal (1.8) and How to Get Away with Murder (1.3) all down in the low-teens from last week's returns. On the CW, it was a week two downtick from Riverdale (0.4), leading out of a stronger 0.6 from Supernatural. Riverdale is still in the game, but would do well to stop the bleeding here. And Fox's Hell's Kitchen (1.1) slipped a tenth, leading into My Kitchen Rules (0.7). FINALS UPDATE: The Goldbergs (R) (1.2) adjusted up. The CW brought back veteran drama The 100 with a 0.4 rating. This was its usual rating in the second half of last season, though it opened last season with a 0.7 out of the big Legends of Tomorrow premiere (1.2). This premiere led out of a steady Arrow (0.6). Fox's Star (1.3) had a relatively good night, ticking up despite a reduced lead-in from another Showtime at the Apollo special (0.8). The special did a fair amount worse than the 1.1 from the first original special back in early December. And CBS' Criminal Minds (1.3) was back from a couple weeks off with a low-end performance. However, CBS was pretty respectable in the surrounding hours; Hunted (1.3) matched last week's Wednesday premiere, while Code Black (1.1) was above average at 10/9c. Repeat mode continued on ABC with comedies (1.1/1.0/1.1/1.0) and Match Game (0.8), as well as on NBC with Law and Order: SVU (0.9/1.1) and Chicago PD (0.9). FINALS UPDATE: The Wall (1.5) and This Is Us (R) (1.0) adjusted up while Fresh Off the Boat (R) (0.7) and The Real O'Neals (R) (0.5) and Bones (0.8) adjusted down. President Trump made his first Supreme Court justice nomination on all four big four networks, occupying the first 17 minutes of primetime. That makes numbers in the 8:00 half-hour unreliable. Fortunately for the broadcasters, it was going to be a really slow night anyway, and after some rearranging all four nets were able to join a repeat in progress after the address. NBC moved its original episode of The Wall (1.4) into the 9:00 hour, with a repeat Wall at 8:00 (1.2) and a repeat of This Is Us (0.9) at 10:00. Fox, always slated to have a repeat of New Girl (0.6) at 8:00, then went with original episodes of The Mick (upticking to 1.1) and Bones (0.9) as previously scheduled. ABC's only original was Agents of SHIELD (0.6), again leading out of a foursome of comedy repeats (0.9/0.8/0.8/0.6). And CBS had a very low showing from its annual Super Bowl's Greatest Commercials (0.9) special, which was down over 50% after years of hovering around 2.0! It was surrounded by repeats of comedies (1.0/0.7) and Bull (0.6). And the CW finally got some good news in 2017, getting an uptick for both halves of The Flash (1.1) and Legends of Tomorrow (0.7) combo. These numbers are current through Monday, January 30. FINALS UPDATE: Quantico (0.7) adjusted down. The Quantico Monday experiment took an even darker turn in week two, with the show dropping to a 0.7 and retaining only about a third of its lead-in from The Bachelor (2.3). CBS said a likely permanent farewell to The Odd Couple, which averaged 1.1/0.9 for its one-hour finale with repeats on both sides. Fox sent Gotham (down a tenth to 1.1) and Lucifer (1.2) off to a lengthy hiatus, while NBC's Celebrity Apprentice was down to 1.0 and couldn't get an upward adjustment this time. On the CW, Supergirl (0.7) and Jane the Virgin (0.3) both shed a tenth in their second episodes of the winter. It was just the second dip to 0.3 this season for Jane.